An act of terrorism unleashed an unspeakable biological weapon... and hell on earth. But as the masses felled by a hideous virus rose from the dead to prey on the living, a small band of survivors defied death and its ghastly spawn -- determined to outrun the world's end and somehow begin again. But beyond the undead-besieged shores of Europe lies something closer to damnation than salvation. Rescued from certain death at sea, a young Spanish lawyer, the beautiful woman he loves, and his brash, battle-hardened best friend -- who have weathered the worst of the unnatural disaster -- think they're escaping to freedom but are delivered into a stronghold of hate. 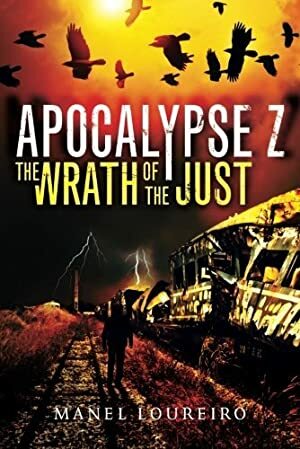 In a United States ravaged by a zombie plague and overrun by the undead, only Gulfport, Mississippi, offers sanctuary... for a price: subservience to a fascist dictator and his brutal enforcers. But their reign of terror will soon be challenged -- by rebels hungry for vengeance and invaders bent on conquest. Log In to track Manel Loureiro on eReaderIQ. to be notified each time the price drops on any book by Manel Loureiro. to stop tracking Manel Loureiro. Log In to track Pamela Carmell on eReaderIQ. to be notified each time the price drops on any book by Pamela Carmell. to stop tracking Pamela Carmell. We started tracking this book on October 4, 2013. The price of this book has changed 16 times in the past 2,029 days. The current price of this book is £3.98 last checked 3 hours ago. This lowest price this book has been offered at in the past 90 days is £1.00. The lowest price to date was £0.99 last reached on December 1, 2018. The highest price to date was £5.32 last reached on September 4, 2014. This book has been £5.32 one time since we started tracking it. We last verified the price of this book about 3 hours ago. At that time, the price was £3.98. This price is subject to change. The price displayed on the Amazon.co.uk website at the time of purchase is the price you will pay for this book. Please confirm the price before making any purchases.